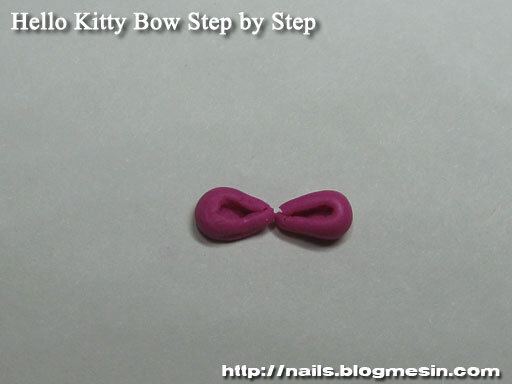 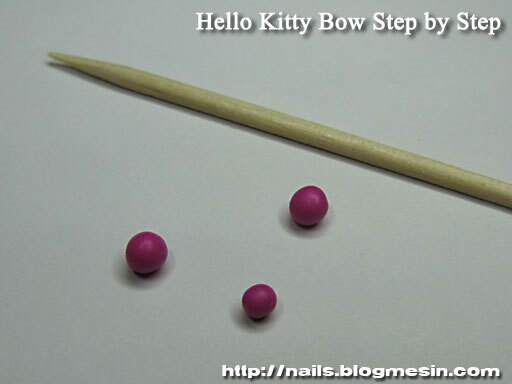 Last time I was posting tutorial how to make Hello Kitty Bows from polymer clay. 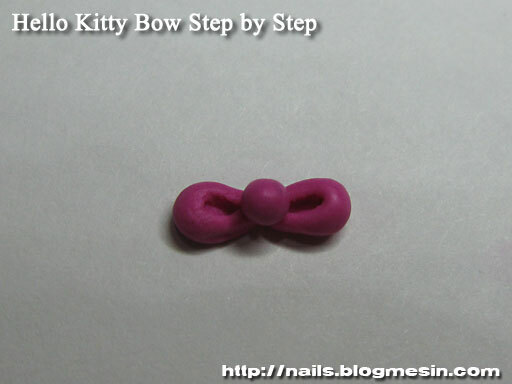 Today I want to show how this bow looks on nails. 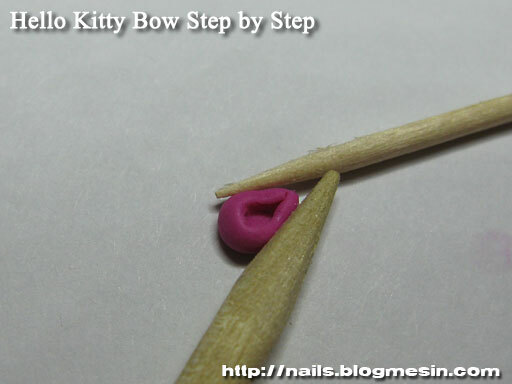 Link to the tutorial is here. 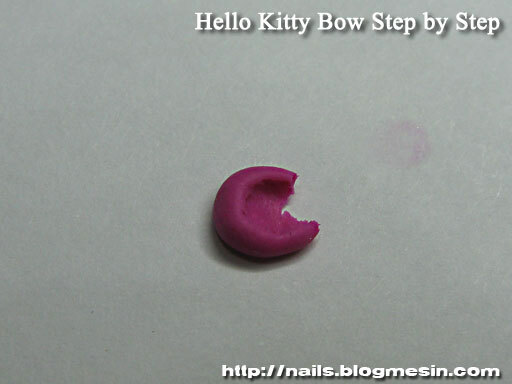 As a base I used H&M On Ice nail polish. 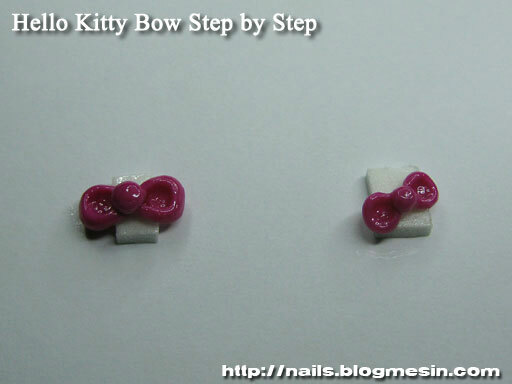 French tips are painted with acrylic paint. 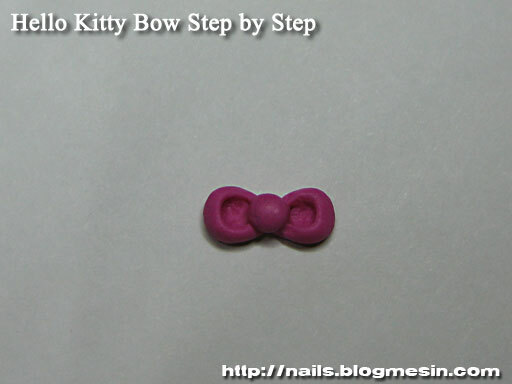 On the top I added transparent nail polish and put the bow on it.